Ok so no biggie guys, but I am the official headliner of Balance Festival 2017. PARDON!? Absolute madness I know. Let me explain. Over 230 fitness classes and workouts from top gyms, studios and trainers – think Barry’s Bootcamp, F45 and more. A live cooking stage, a mylk bar, a balanced kitchen making fresh food to go and of course market stands from all your favourite food brands. Relaxation areas, mindfulness talks and meditation classes. Stands from your dream healthy travel destinations, resorts and retreats. The Lab; where talks, panels, workshops and discussions will take place. The Welltdo Career Clinic; where you can learn about working in the industry. And so much more. The list is literally endless. So what is my role as a headliner? I will be leading one wave of the Urban Triathlon on Saturday. This is a charity event prior to the festival which includes a HIIT workout, a run through London and yoga class to finish. It is the perfect fitness challenge to take on as part of the festival with a good cause underlying it. I am doing various talks throughout the weekend alongside some of my favourite inspirational and positive people in the industry. I will be partaking in the Wellness Summit on Friday, as well as leading a panel in the evening about fitness entrepreneurs. On the Sunday, I will be leading more panels. This time on the topics of body confidence and building a brand in the blogging industry. 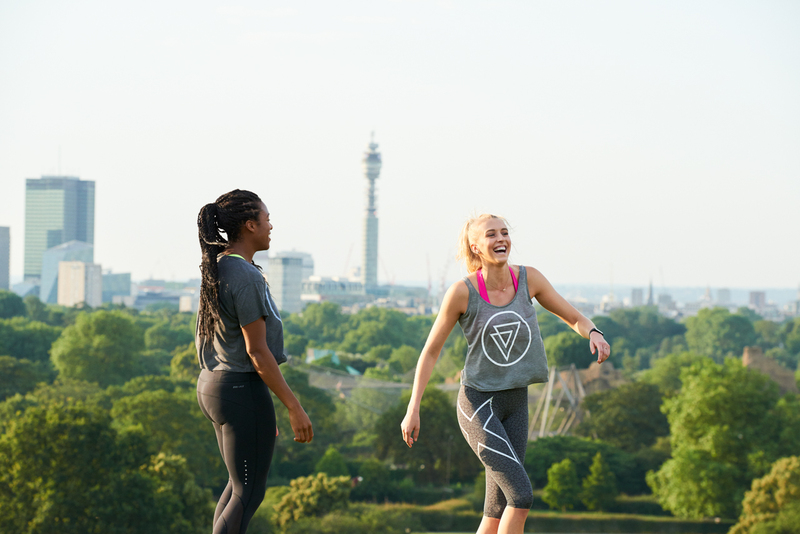 I have designed a killer collision style workout with my girl Shona Vertue. It combines HIIT, glute activation, yoga and resistance training to give you a serious challenging (but fun!) full body workout. We are teaching once on Friday, twice on Saturday and twice on Sunday so book in! I am leading the Fitness Feast cooking workshop on Saturday. I will be joined by my girls The Food Medic, Clean Eating Alice and Healthy Chef Steph; who will be cooking up a balanced three course meal while we discuss key topics in health and wellness. My book Strong will be available at the festival, and I will be signing copies for you guys so be sure to grab one before they go! If you don’t manage to come along to one of my talks, workouts or cooking demonstrations, I will be browsing around the festival throughout the whole weekend. If you do see me, please say hey and feel free to ask me any questions! I always love meeting you guys. Fingers crossed I have convinced you to come along! If you want more information head over to the Balance Festival website and check out the line-up so far.